The very recent overhaul of our customer proposal has seen the quirkiness and cool factor that everyone loves about us, combined with an easy to navigate electronic interface. It may sound complex, and it is in the amount of information and images available to the user, but this new layout, look and feel means that even the most technologically dumbfounded person can use and read it. 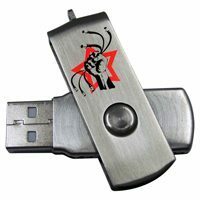 Presented on a 5thCorner USB Flash Drive which is encased in client specific packaging, this latest version flows the edginess of the Tech Republik into the hands and thoughts of potential convertees!! Thankyou very much for the proposal. The presentation is Tres cool and definitely a departure from the norm. I’m sure our client will be blown away by the package, especially being that they can have the proposal handy on the USB stick and refer to it on the go.